Alan’s reputation is for prepared, realistic and persuasive advocacy. He is regularly instructed in a wide range of criminal cases including offences of: Arson with intent to endanger life, blackmail, child abduction, child cruelty, criminal damage (in particular large-scale graffiti cases), drugs importations and supply, illegal use, sale and possession of firearms, fraud and money laundering, facilitating breaches of immigration law, robbery and serious violent and sexual offences. Alan has defended in a number of the August 2011 disorder cases in various matters of riot, violent disorder, affray, burglaries and assaults. Prior to his call to the bar Alan had the benefit of six years' experience as a Police Station Representative defending people suspected of all levels of criminal activity from shoplifting to regular instruction in cases of murder and serious sexual offences. He is therefore well aware of the pressures facing instructing solicitors in the current climate. Alan is experienced and remains qualified to defend suspects at the Police Station. Please speak to his clerks for further information. He is also Duty Police Station and Magistrates Court qualified. Alan attained a First Class LLB Law Degree (London South Bank University) and an MSc in Criminal Justice and Criminology (University of Oxford, Lady Margaret Hall). His Masters included a dissertation on the discretionary exclusion of evidence (section 78/abuse of process) supervised by Professor Andrew Ashworth QC. 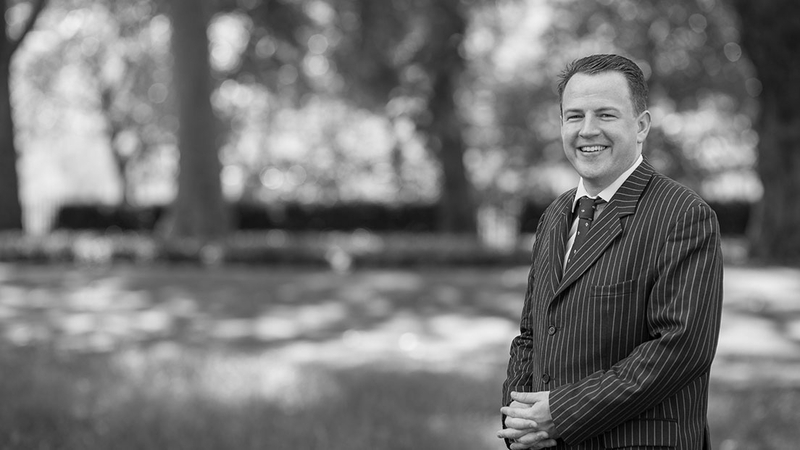 Alan was rated outstanding in Criminal Litigation on his BVC. advocacy, criminal law, criminal litigation, evidence and contract law. Alan has delivered a number of CPD lectures and training sessions on criminal law, procedure, evidence and advocacy. In 2013 Alan prepared and presented two CPD events: 1) LASPO 2012 and criminal practice A criminal practice update training session, covering the Legal Aid, Sentencing and Punishment of Offenders Act 2012 and recent updates on procedure, sentencing and new offences. 2) People with Mental Health Issues and the Criminal Justice System Alan Birbeck and Dr Neil Boast (a Consultant Forensic Psychiatrist) delivered a lecture on the Law and Practice regarding People with Mental Health issues. This covered: diagnosis, impact, practice points, the concepts of capacity and fitness; the fitness hearing; the fact finding hearing; insanity; diminished responsibility; adaptations to trial and disposal. Alan has significant experience of defending young clients, clients with psychiatric issues and personality disorders, clients with learning difficulties and drug and alcohol addictions. He has argued submissions on areas of law as diverse as abuse of process, bad character, confiscation, the discretionary exclusion of evidence, fitness to plead, hearsay, mental capacity, sexual offences prevention orders, special reasons, ASBO’s and Restraining Orders. He is also a practitioner feedback contributor to Oxford University Press on publications including Blackstone’s Criminal Practice and English Public Law. Alan is also Direct Access accredited. This means he can accept instructions in some circumstances directly from members of the public. For more details please speak to his clerks. Defending as junior Counsel in an ‘Operation Eaglewood’ case (involving over 30 defendants). The case involved a large scale conspiracy to import Cannabis and Cocaine into the UK. The case was the largest prosecution (in terms of volume) ever brought by CPS London. It involved probe evidence and arguments as to the nature and scope of the concept of ‘conspiracy’. After written submissions the Conspiracy to import cocaine charge was dismissed and client sentenced on a limited basis re: Cannabis. Defending in the trial of young person diagnosed with asperger’s syndrome charged with robbery. Issues of joint enterprise liability, intermediaries and the impact of the diagnosis on mens rea requirements. Defendant acquitted after three day trial. was acquitted at the Judges direction. Defending in the case of client convicted of a serious sexual offence. Defendant had a combination of acute mental health problems and severe learning difficulties. Detailed submissions as to the legislative intention underlying the so called hybrid order (s.45A) order and hospital orders with restriction (s.37/41). Judge accepted the defence’s submissions as to securing the clients best interests and the public interest. Two day hearing involving two expert consultant psychiatrists with opposing views on the mental capacity of the Defendant under the Mental Capacity Act 2005. Fully contested issues relating to mental capacity, abuse of process/fair trial and necessity/proportionality. Defending in the trial of Possession of Firearms with intent to endanger life and aggravated burglary. Successful legal arguments on the admissibility of the bad character of the complainant. Successful legal argument to exclude hearsay evidence. Prosecution offered no evidence on the main charge. Defending alleged violence towards Police by youths in the context of the August 2011 disorder. Evidence of serious Police misconduct pursued. After considerable persistence the Defendant was the only Defendant for whom bail was secured. Detailed preparations of the locale and CCTV. On the day of trial in part in light of representations made the Prosecution offered no evidence against all Defendants. Actions against the Police pending. Defending a mother with mental health problems on an initial allegation of extensive child cruelty and actual bodily harm. Expert medical evidence on psychiatric issues and non-accidental injury. After securing medical evidence the Prosecution accepted a simple common assault and the Defendant was sentenced to a Community Order with mental health treatment and supervision.